Shop and Dine at Locations That Give Back! If you shop or dine in the Royal Gorge Region, be sure to look for businesses who sport a ‘We support…’ sticker in the windows. Many belong to high school booster groups or are sponsors of local trail/recreation organizations. In Cañon City and Florence, look for the ‘1% for Trails’ or ‘FAR Contributor’ signs. By supporting these local businesses, a portion of your purchase may go directly to trail maintenance and trail building efforts. Let businesses know you’re thankful for their dedication to the recreational amenities in the area. From a number of local businesses, you can access trail systems within a mile or two. Many also have trail maps that they can provide to you for added convenience. (For a complete list of businesses participating in this program, please visit www.JoinFAR.org). Earth Day may not be scheduled every day, but every day can be the day you opt into being a land steward. If you’re hiking, riding, or biking in the Royal Gorge Region, keep a small spare plastic bag (a grocery bag or dog waste bag work great) in your backpack. See a bottle or bag that doesn’t belong in a bush or on the trail? Grab it, stash it, and throw it away at the next available trash receptacle. Looking to add a unique experience to your vacation? Check local calendars to participate in local events. Many are actually fundraisers for local organizations and groups. Run a 5K on a local trail system and give back to trail-building efforts (joinFAR.org), strengthen recreation communities by paddling in a whitewater event (royalgorgewhitewaterfestival.com), or just join in a local historical celebration (canoncityblossomfestival.com). 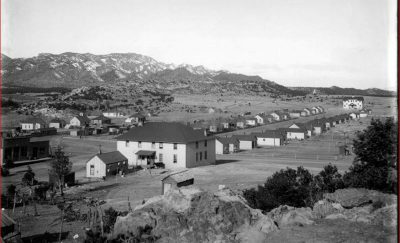 For a complete list of events in the Royal Gorge Region, visit www.CanonCity.com. 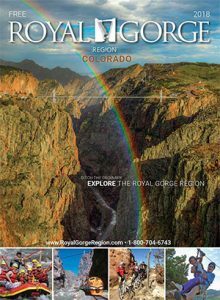 Or, check out the Royal Gorge Region’s official visitor’s guide. We’ve all been there: you’ve waited weeks to head out on that great new biking trail, and the day before you get there it rains. The trails are muddy, but you might be able to make it through…should you go? While it might sound fun to tackle a few mud puddles on your sweet new fat tires, the damage that you could do to the trail itself may take months (if not more) to recover. Divots, footprints, hoof prints, and tire marks can dry and create deep ruts. The same can be true for fire restrictions: hot, melty s’mores are tough to pass up on any camping trip, but fire restrictions are designed to keep campers, local towns, and emergency response personnel safe. Observe all restrictions and pay attention to signs posted in the area. And ALWAYS be sure your fire pit is cool to the touch before leaving it. 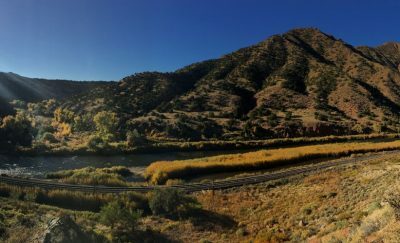 Wherever you go in the Royal Gorge Region, enjoy the natural beauty and quaint climate of this rural, small-town community. It is rare to find a place so genuine and unaffected. Revel in the historic nature of the downtown architecture, be awestruck by the natural wonders of the Royal Gorge and the incredible geology. And most of all, enjoy playing a part in preserving this beautiful area.